The Singleton Family McDonald’s is no stranger to recognizing those who do good and for a SIXTH YEAR in a row they’re asking who is a shining light in your life and our community. This is your chance to show the NW Burbs the many deserving STARS we have working hard and doing good here at home. No rules, or guidelines, just pick someone who makes a difference and tell us about them. All of our Stars will get the chance to tell their story at a live event with Joe and Tina PLUS get an award for all the good they do too! Nominate below or stop at one of their eight locally-owned Family McDonald’s, including their new Woodstock location, to share your story. CLICK HERE to find the one nearest you! Show us someone who makes a difference, and the Singleton Family will let them shine! 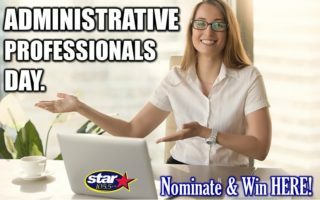 Nominate a McHenry County Star! Meet Our McHenry County Stars! Congrats to Carol Munn, Teacher at McHenry Middle School! She was nominated by Kim Disalvo for being an amazing role model with a positive classroom. “She helps kids learn who they are and gives them the courage to explore what they are capable of while teaching tolerance and acceptance”! 14 year old Caden Ringer from McHenry was nominated by Susan Cherry. He’s started a group called “Home Run Helpers” that hosts fundraisers, buys toys for children in need and distributes them for Christmas. He’s looking out for kids that may be too old to benefit from other programs like Toys For Tots. Treat The Admin in Your Life Shake Your Shamrock @ Singleton Family McDonalds (Algonquin) Shake Your Shamrock @ Singleton Family McDonalds (Woodstock) Singleton Family PJ’s and Presents with Joe and Tina @ McDonalds Woodstock McDonald’s Job Fair : Woodstock Tyler @ McDonald’s for the Sound of Summer Kickoff Finale!